This is a O.S. Glow Plug Wrench with Plug Grip. This glow plug wrench is for use with cowled engines or those having deep heatsink type heads, such as car or helicopter engines. 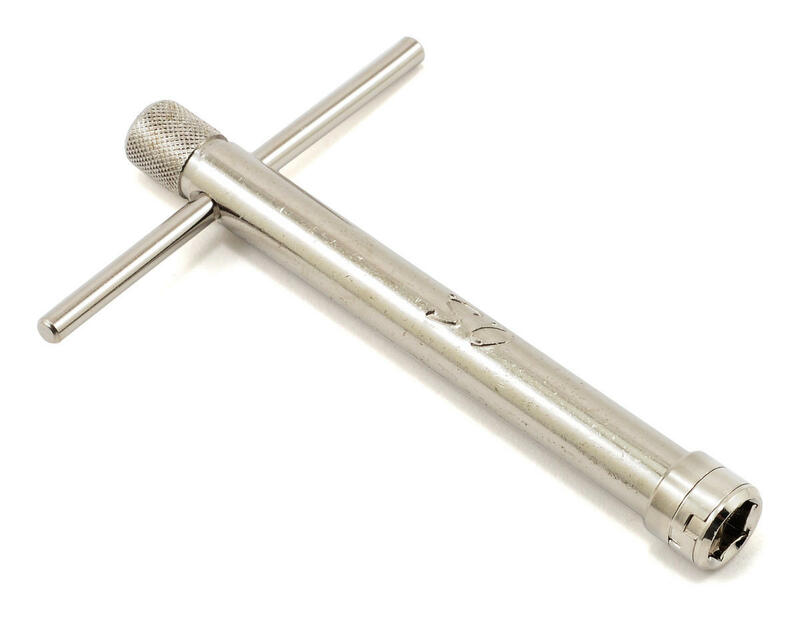 It has an internal grip which holds the plug securely while it is being withdrawn or reinserted making glow plug removal and installation quick and painless. Works great for me, just don't OVER tighten your plugs and it will do the job, just fine. Like the plug holder most because no worries about dropping your plug in the dirt and trashing it. Its not a good plug wrench for the basher guy's lol. So far so good. I needed a wrench that would hold the glow plug and this one fits the bill. The T-handle up top is a little short, but as long as i can get the plug started, I can tighten it up with my other wrench. Know this isn't ideal, but all I wanted was something that actually holds the glow plug. Agreed; I have this and about three or four other glow plug wrenches. This is the ONLY one that I use now. I even went and ordered the lastest "Speed" version offered by O.S. (maybe Amain will carry soon). The plug lock device has worked flawlessly for me for removing and installing glow plugs. 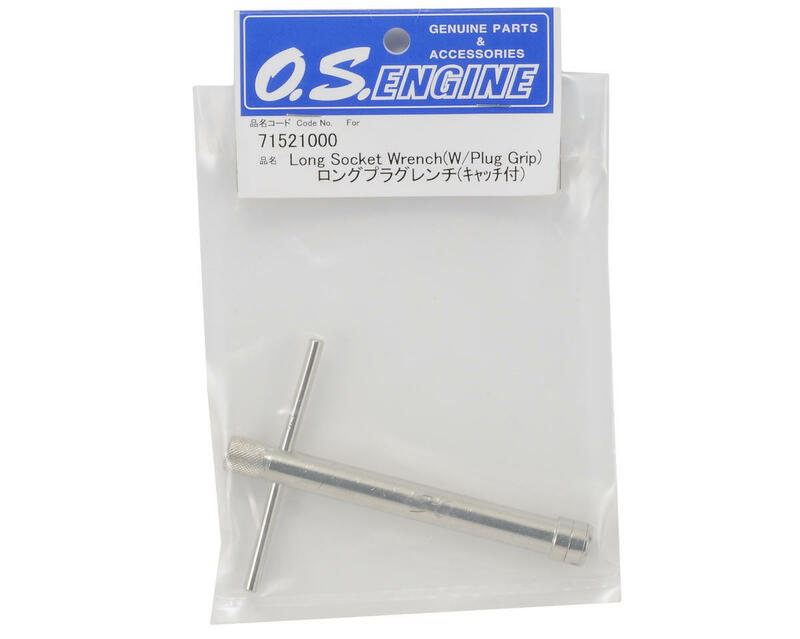 Agreed on the handle length as well; I have not had any difficulty removing or installing glow plugs into the engine. After all, you are screwing a steel threaded glow plug into aluminum. I have stripped out the head button in the past (NOT WITH THIS TOOL) and had to replace the button as a result. I just can't believe someone didn't think of this before. I still remember messing around with glow plugs with RTR type glow plug wrenches, and trying to do all kinds of things to get the plug to hang in there. All in all, GREAT product! Highly recommend to anyone involved with nitro engines. I'm sure other manufacturers will follow suit on this design, with their own special twist of improvisions, of course. What a crock of poo....the handle is to short. ............. The handle size is so you don't over tighten the glow plug. I've had one these for 12 months + now and have had no issues. Never had a plug come loose either. But I do make sure the turbo plug tapered seat is clean first. This tool is not recommended. Not enough leverage to break loose the plug. Especially if turbo. Small glow plug wrench. IT's very bad for hand, don't buy the O.s glow plug wrench the HPI it's better.